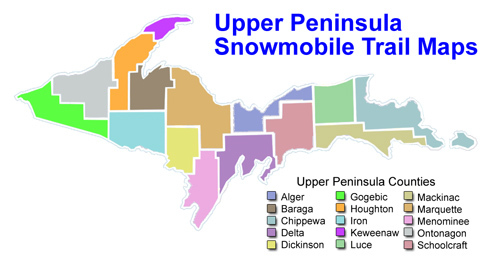 Select a county from the Upper Peninsula map above or choose a link in the left menu to get snowmobile trail maps. 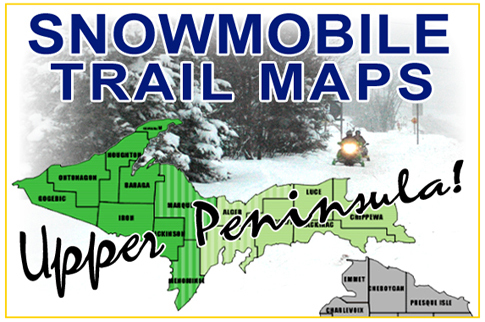 Our Upper Michigan snowmobile trail maps are FREE, up-to-date and provided by the Michigan DNR. All of these Michigan snowmobile trail maps are available as a downloadable PDF *. Our Upper Michigan snowmobile trail maps are easy to read and works with Michigan regulations and rules. Our online U.P. Snowmobiling store also offers a Michigan Snowmobile Trail Guide book, Michigan Off Road Guide and GPS products. These products are featured on each of our snowmobile trail maps pages. Simply scroll over the product in the window to learn more. 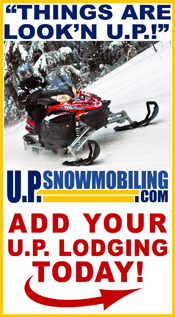 Thank you for visit our Upper Michigan snowmobile trail maps page!